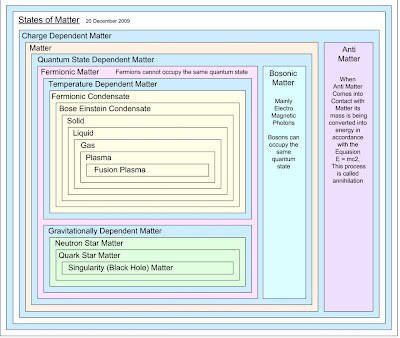 Answer: Anything that occupies space and has mass is known as matter. Q2: What are the characteristics of matter? A large number of particles together constitute matter. These particles are of very small size. Particles of matter have spaces among them. Particles of matter are in continuous motion i.e. they possess kinetic energy. Particles of matter attract each other i.e. inter particle forces of attraction or intermolecular forces. 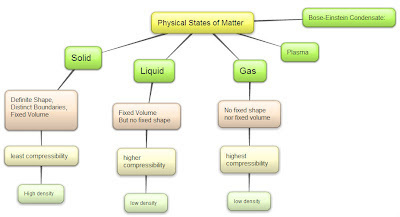 Q3: How matter is classified in terms of physical state? Answer: solid, liquid and gas. Q4: How matter is classified in terms of composition? Answer: element, compound and mixture. Q5: What are different physical states of matter? Name their properties as well? Q6: Name matter classification in terms of composition. Answer: The mass per unit volume is called density. Its SI unit is Kgm-3. Q8. What do you mean by the term Volume? Answer: The space occupied by a substance is known as volume. a. The process of liquid changes into vapors on heating even below its boiling point is known as evaporation. b. Sublimation: The changing of the solid directly into vapors on heating and vapors into solid on cooling. 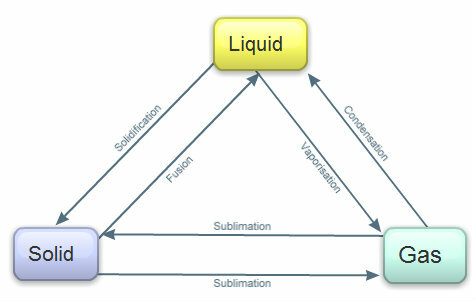 c. The process at which vapors changes into liquid is termed as condensation. Q11. Define Latent Heat of Fusion and Latent Heat of vaporisation. Answer: The latent heat of fusion of a substance is the quantity of heat required to convert one unit mass of the substance from solid state to the liquid state at its melting point without any change of temperature. The quantity of heat required to convert one unit mass of a liquid into vapour at its boiling point without any change of temperature is called its latent heat of vaporisation. Latent heat of vaporisation: It is the amount of heat consumed when 1 kg of liquid changes into vapor at constant temperature. Q 12. Define the term Volatile Liquid. Answer: Those liquids which can change into vapours easily are termed as volatile liquids. a. The temperature at which solid changes into liquid is called its melting point. b. The temperature at which liquid changes into solid. 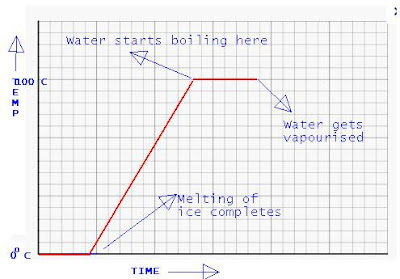 c. The temperature at which liquid changes into vapors is termed as its boiling point. Q 15. (NCERT) Which of the following are matter? and Smell of a perfume (It is also considered in matter because it is due to the presence of some volatile substance in air). Objects which are not matter from the above list are: Love, hate, Smell, Thought and Cold. Q 16. (NCERT) Give reasons for the following observations. The smell of hot sizzling food reaches you several meters away, but to get smell from cold food you have to go close. Answer: Particles present in the matter possess kinetic energy and therefore move constantly. At lower temperature, particles have low kinetic energy and thus move slowly. But as soon as the temperature rises, these particles move faster than when they were in cold. As the particles of hot vapors coming out of hot sizzling food move faster, they can reach several meters away. The particles in the cold food move slowly and thus do not reach us when we are away even a few meters. Therefore we have to go closer to smell cold food. Q17: Why do gases diffuse rapidly? Answer: The gases diffuse rapidly because the particles in the gases can freely move in all directions and there is lot of intermolecular space in gases. Answer: Evaporation is a physical process in which a liquid changes to its gaseous state, at a temperature lower than its boiling point. Q20: Explain compressibility in gases with an example? Answer: Liquefied petroleum gas (LPG) cylinders are used in our homes for cooking, contains gases in the compressed state. Similarly, compressed natural gas (CNG) is used as a fuel in vehicles. Large volumes of gases can be compressed in small cylinders and are transported to distant places. Q21: What is SI unit of temperature? Give mathematical relation also. Q23: Draw diagram to show interconversion among states of matter. Answer: The process of evaporation of water from the aerial parts of plants especially in leaves is called transpiration. Q25: Which state of matter is most easily compressible? Q26: After rains when do rain drops dry away easily– on a cloudy day or on a sunny day? State reason also. Answer: Rain drops will dry easily on a sunny day. As the temperature is higher in sunny day, evaporation increases. On a cloudy day temperature of the surrounding is low due to humidity while on a sunny day the temperature of the surrounding is high. With an increase of temperature, more number of particles get more kinetic energy to vaporize. Q27(NCERT): A diver is able to cut through water in a swimming pool. Which property of matter does this observation show? Intermolecular forces in water are not very strong. Particles in liquids can be easily displaced from their original position. Q29: Our own bodies contain examples of all three states of matter. Can you identify these? Gas: air (oxygen and carbon di-oxide) that we breathe in-out through lungs. Q30: What is the physical state of water at the following temperatures? (b) 0 °C : solid or liquid (if melting process is on way). (c) 100 °C : gas or liquid (if boiling process is on way). Q31: What do you mean by change in state? Answer: Change of substance from one physical state to another is called change of state. E.g. conversion of ice into liquid water is a change of state from solid(ice) to liquid (water). (b) An iron almirah is solid. In water, the intermolecular forces are strong enough to keep its particles bound to each other. The melting point of water is below room temperature(so it does not convert into ice). Its boiling point is above room temperature (therefore it does not vapourise completely). It has fixed shape and definite volume because of strong molecular cohesive forces. It is rigid and cannot be deformed easily because of strong molecular forces. Q33: Why do diffusion become faster at higher temperatures? Answer: The speed of particles in any form of matter increases with rise in temperature. Hence the reason. 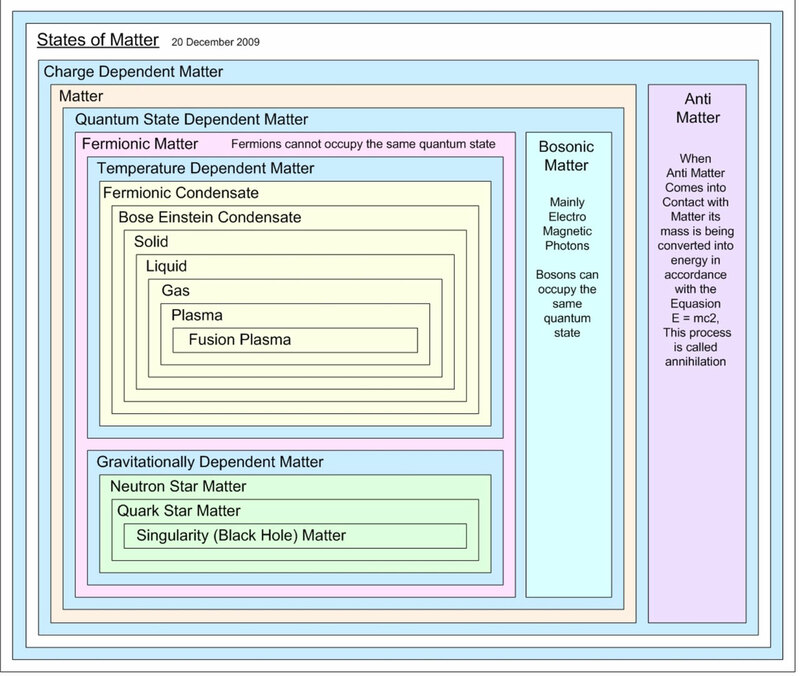 Q34: How can matter change its state? by changing pressure and temperature both. Q35: Define boiling. Why boiling is considered as bulk phenomenon? Answer: Rapid formation and breaking of bubbles in the bulk of a liquid being heated is called boiling. During boiling particles from the bulk of liquid gain enough energy to get converted to vapour. Therefore it is a bulk phenomenon. 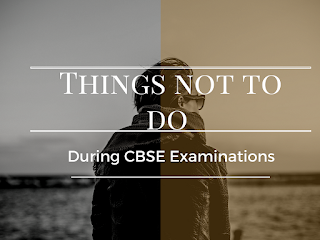 Q36(CBSE): Why does the temperature of a substance remain constant during melting and boiling even when heat is being supplied to it continuously? Answer: It is because the heat supplied to the substance is used up (or absorbed) in overcoming the intermolecular forces, and therefore, it does not show up as a rise in the temperature. Following figure shows melting of ice and its vapourisation at 0° C and 100° C respectively. Q38: Explain with an experiment to show gases do not have fixed shape or volume. Experiment: To show gases do not have fixed shape or volume. Take two balloons of different shapes. For example One round and one heart shape or cylindrical. Fill the balloons with air. Observation: Air takes up the shape of balloon. Conclusion: This shows air has no definite shape or volume. It takes up the shape of the balloon. Q39: What is evaporation? Why does evaporation cause cooling? Answer: The process in which a liquid changes into its vapour state at temperatures below the boiling point is called evaporation. Evaporation is an endothermic process i.e. liquid absorbs heat during evaporation. This heat may be provided either by the surroundings or by liquid itself. When the evaporating liquid takes the required heat from other parts of the liquid, the rest of the liquid cools down. On the other hand, if the liquid takes heat from the surroundings, it causes cooling of the surroundings. E.g. on a hot day (sunny day), we perspire. When this sweat evaporates, it absorbs the required heat from our body, and we feel cool. Explain evaporation and its cooling effect in terms of kinetic energy of particles. Answer: During evaporation, the molecules which possess higher kinetic energy leave the liquid and go into the space above the liquid as vapours. The remaining molecules possessing lower kinetic energy are left in the liquid state. Consequently, the average kinetic energy decreases which results in the fall of temperature of the liquid. Q41: What are the differences between boiling and evaporation? 1 It occurs at specific temperature. It occurs at all temperatures. 2 It requires heat energy to be supplied by external sources. In general liquid absorbs heat energy from its surroundings. 3 It takes place throughout the liquid. It is a surface phenomenon and occurs only at the surface of the liquid. 4 It is not accompanied by cooling. Temperature of liquid has increased. In this process the region surrounding the evaporating liquid gets cooler. 5 It is a rapid and noisy process. It is slow and quiet process. 6 Temperature of the liquid remains constant at the boiling point. Usually the temperature of liquid drops. Q42: What factors affect the rate of evaporation? the surface area exposed to atmosphere i.e. it increases with an increase in surface area. temperature. Evaporation increases with increase in temperature. humidity. Evaporation decreases with an increase in humidity. wind speed. Evaporation increases with an increase in wind speed. Q43: In which case evaporation of water will be faster i.e. near the sea or far away from sea. Answer: The region nearby sea will be more humid. Since evaporation decreases with an increase in humidity. Therefore, evaporation will be faster in area far away from sea. Q45: Why solids cannot be compressed like gases? Answer: The particles in solids are so tightly packed that there are no or little inter particle spaces left among them. Therefore solids are not compressible like gases. Gases which have large inter-particle spaces are therefore compressible. Q46: Why is ice at 273 K more effective in cooling than water at the same temperature?Answer: Ice at 273K or 0 C can absorb a large amount of heat energy as latent heat of fusion to get converted to water state. Therefore Ice at 273K is more effective in cooling. Q47: List any five physical properties of liquids. Liquids do not have fixed shape or boundaries. They exhibit fluidity i.e. they can flow. Less compressible as compared to gases but higher than solids. Lower density as compared to solids. Compared to solids, liquids have higher kinetic energy but less than gases. The intermolecular forces of attraction are weaker than that of solids. Show the property of intermixing i.e. can diffuse. Q48: Differences among solids, liquids and gases. Q49: Why is light not considered matter? Answer: Matter occupies space and has mass. Light has neither of the two and that's why it is not considered as matter. It is taken as form of energy and electromagnetic radiation. Q50 Why does steam cause more sever burns than boiling water, though both are at same temperature? Answer: At 100°C, steam carries additional latent heat than boiling water. Therefore steam cause more sever burns. Q51: What are the ways a gas can be liquified? Answer: Applying pressure and reducing temperature can liquefy gases. Q52: What is a dry ice and what are its properties? CO2 gets converted directly to gaseous state on decrease of pressure to 1 atmosphere without coming into liquid state (i.e. sublimes). This is the reason that solid carbon dioxide is also known as dry ice. It is mainly used as cooling agent because its temperature is very low than water-ice. Dry ice is commonly used in theaters and in movies to produce the effect of fog. Q53: How vapour is different from gases? Give examples of each. Answer: In general, those substances which are liquids at room temperature and turn into gas state due to evaporation are called vapours. While the substances which are in gaseous state at room temperature are termed as 'gases'. Q54: How heat is transferred when a solid sublimes? Answer: Certain solids like iodine, naphthalene, solid-CO2 sublimes on heating. Heat is absorbed by the molecules of these solids and is transferred to kinetic energy of molecules. Due to which the molecules show phase change into gaseous state. Q55: Is smell of garlic or perfume a matter? Answer: Smell is a sensation. It is an ability of humans or animals how they perceive an odour. However the origin or cause of smell is a chemical (matter). e.g. The smell of garlic is due to the chemical, allicin. Q56: The mass per unit volume of a substance is called density. (density = mass/volume). Arrange the following in order of increasing density – air, exhaust from chimneys, honey, water, chalk, cotton and iron. Q57: Why do solids expand a bit on heating and contract a bit on cooling? Answer: The solid molecules do not have sufficient inter-molecular (or inter particle) space thus it expands a bit on heating. The inter-particle forces of attraction are very strong which do not let solid particles to leave its mean position. Therefore solid contracts a bit on cooling.